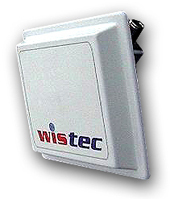 Amplifiers and antennas and accessories for wireless LAN (W-LAN)from wistec! Ask for the special price offered for the first hundred antennas ordered! Amplified antennas - all in one! As the ultimate solution for simplicity in using radio technology wistec is one of the first companies offering you an amplifier built into the antenna. Output power: 100 / 250 / 600 mW. In reply to some recent announcements of WLAN solutions compliant with the 802.11A standard, which operate in the 5-6 GHz band and provide significantly higher speed (up to 74 Mbps) wistec introduced the appropriate amplifiers and antennas. The first few lots from mass production have been shipped to our customers who have successfully accepted them. Find further details about 5-6 GHz equipment in the products section. "Contactless" - the universal connector, which always fits! 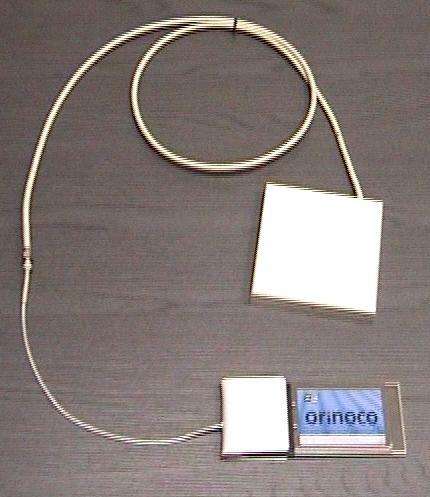 These days have gone when the amplifier and antenna could not be used to improve the performance of your WLAN because the connector didn't fit the plug of the radio card! The "contactless" solution offered by wistec connects any type of radio card with a clip, which clamps over its tip and senses the radio signal from there. Our contactless solution comes as two different models: one for the use with equipment according to 802.11B (2.4 GHz band) the other for 802.11A (5-6 GHz band). It is designed for indoor use with limited output power in compliance with the regulations (high power versions up to 1W available on request). At the access point the use of a wide-angle sector antenna (12 dB) is recommended while best results can be achieved at the client with an omni-directional antenna (9 dB). Also part of the set is the sophisticated low-noise amplifier with self adjusting gain which makes sure that your transfer rate is always the highest achievable even in difficult environments (e.g. concrete walls). 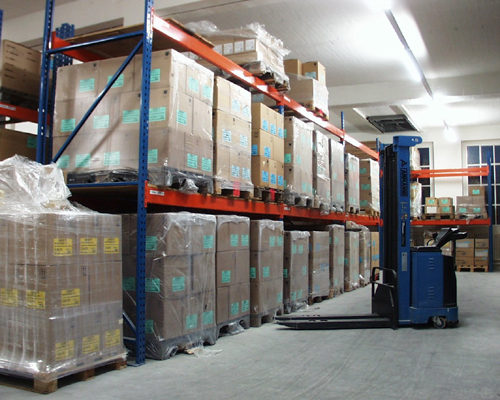 Modern warehouse organization is the reason for wistec's well-known reputation for fast delivery services (within 2 working days) for the majority of articles offered even for larger quantities. For your convenience pre-packaging of the items makes handling and transportation fast and easy due to lots with a size, which is frequently asked for.